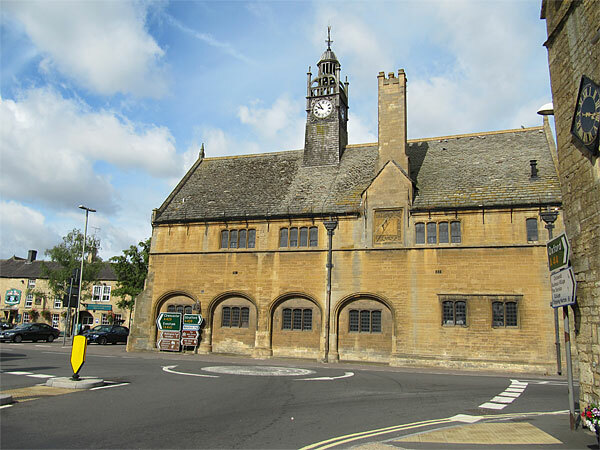 Undoubtedly the most prominent building in the town centre is the magnificent Redesdale Hall which is situated in the High Street. The Redesdale Hall was erected in 1887 by Sir Algernon Bertram Freeman Mitford, GCVO, KCB, 1st Baron Redesdale, Lord of the Manor of Moreton in pious memory of his kinsman, Earl of Redesdale, 1805-1886". The architect was Sir Ernest George (then Mr). 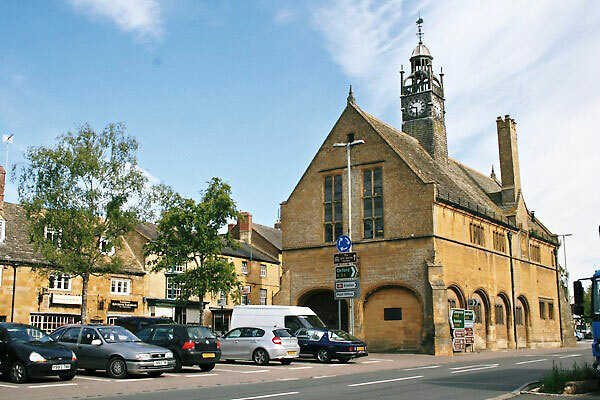 It was then purchased by Sir Gilbert Alan Hamilton Wills, BART, OBE, the 1st Baron Dulverton, who gave it to the North Cotswold Rural District Council, whose successor, the Cotswold District Council, gave it to Moreton-in-Marsh Parish Council in September 1974. The Hall is run by a charitable trust – The Redesdale Hall Trust – which is made up of Members of Town Council and other local organisations from within the community. They take responsibility for the running of the Hall and maintain the interior.